DARMSTADT, Germany, Nov. 5, 2018 /PRNewswire/ -- Merck, the vibrant science and technology company, today launched its new BioContinuumâ„¢ Platform to advance biotherapeutic drug manufacturing through improved efficiency, simplified plant operations and greater quality and consistency. The company introduced this expanded offering at the 2018 American Association of Pharmaceutical Scientists PharmSci360 conference in Washington, D.C., U.S. The products, documentation and Merck's vast knowledge base for application and technical support included with the BioContinuumâ„¢ Platform, will help to simplify customers' processes, save time and prevent risk. 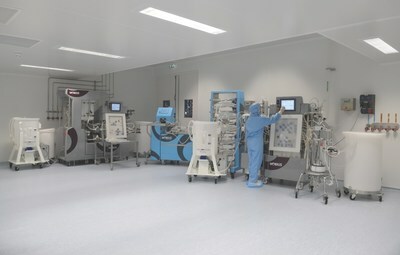 The Life Science business sector of Merck also introduced its expanded Pellicon ® Single-Pass Tangential Flow Filtration product, which adds to the purification portfolio of the BioContinuumâ„¢ Platform. The application offers intensified purification for more productive, high capacity and cost-effective downstream processes that allow drug manufacturers to meet today's demands of higher titer and connected or continuous processes. Merck's BioContinuumâ„¢ Platform represents the evolution in the biopharmaceutical industry, and the company is committed to supporting its customers and the industry throughout the transition. For more information about the BioContinuumâ„¢ Platform, visit company representatives at AAPS PharmSci360, Booth 2115. Merck is a leading science and technology company in healthcare, life science and performance materials. Around 53,000 employees work to further develop technologies that improve and enhance life â€“ from biopharmaceutical therapies to treat cancer or multiple sclerosis, cutting-edge systems for scientific research and production, to liquid crystals for smartphones and LCD televisions. In 2017, Merck generated sales of â‚¬15.3 billion in 66 countries.